This past weekend we took Kayleigh to the pumpkin patch and fall festival at Cox Farms. All I have to say is...wow! That place is awesome. While Kayleigh was way too small for 99% of the activities, we still got some adorable photos of her with the pumpkins. Because everything she touches goes into her mouth when I sat her down for photos she immediately began trying to shove the straw into her mouth. But on a positive note, the headband I made for her came out amazing and looked so cute on her! I was in love with her Osh Kosh overalls and black tights! I had to do a couple of hand checks with her and Eli - her little buddy. The only way his mom got him out of the house that morning was by telling him they were coming to see Kayleigh. Those two have a special connection I swear. Something about Eli makes Kayleigh just light up and giggle non-stop. Drew asked Eli to help "carry the baby" and he jumped at the chance. Over all the festival was a lot of fun. So many things to do for the kiddies from slides to animals to a straw maze. There were even some fun photo opps for the parents. Next up this month is a visit from her Grandma and Grandpa that live in Smithfield and then its Halloween! Kayleigh was invited to a Halloween party so she gets to show off her cute elephant costume and take adorable pictures. October has been and will continue to be a busy month for us - but it gives me plenty of excuses to pull out the camera and snap pictures of my two favorite people in the world! So, so precious. She is adorable! You definitely captured some great photos and memories. Over from the naptime review and excited to be a new follower. Hope your day is wonderful! Thank you! And thank you for following! Hi! New follower from the Naptime Review blog hop! What a cutie patootie you have. Look forward to reading more. Have a fabulous day! So precious!! My baby fever has tripled lately seeing all the cute pictures of babies at the pumpkin patches! New follower from the GFC Hop! Kayleigh looked like she had a fun filled day. The picture with the pumpkin patch is so bright and colorful... definitely one to frame. I am following now and would love for you to follow back. She is so adorable! Love the pictures. Newest follower here! I found you through the tuesday link up. Super cute blog, I can't wait to read more. I was just at the pumpkin patch today. I am following you now. Did you know you are a no reply commentor? Do you know what that means? Look at this post and let me know if this makes sense. You need to change your setting and you will get many more comments. Your little girl is so stinkin' adorable! Your daughter is beautiful! 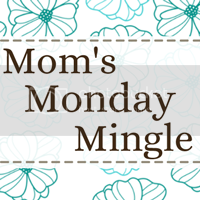 I am a new follower of yours over from Mom's Monday Mingle. Would love if you could visit my blog and follow as well.